Cusco traditional tour is the best option to visit Cusco, Sacred Valley and Machupicchu, Cusco is best approached at a leisurely pace. 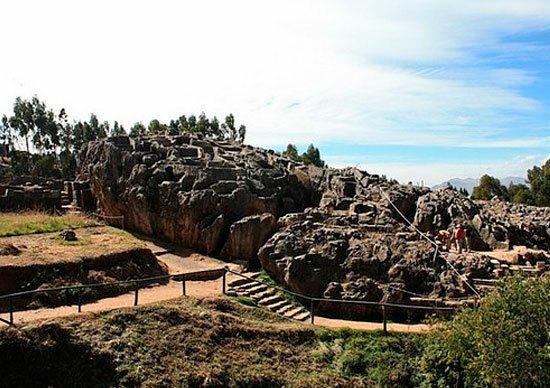 You can get the most out of your stay if you take slow, giving yourself at least a day to adjust to the altitud, as well as the ins and outs of life in Cusco. We have a good prices and services. Upon arrival in Cusco: Reception at the airport, assistance and transfer to selected hotel. You will have free morning and in the afternoon We will visit the center of the city and then We wil go around the Cusco city. Between 13:20 and 13:30 pm will begin the guided tour through the city, where you will have the opportunity to visit 6 sites, the first “Qoricancha” (golded place), currently Santo Domingo Convent, a place that keeps Inside one of the most important religious centers of the Inca period, the Cathedral, a place that has religious paintings of the Cusqueña School being in number about 300, among other expressions of art. Then visit to the surrounding areas of Cusco City, to visit 4 places that have remained intact over the years and have been used by the Incas for different activities; Sacsahuaman (puma’s head) majestic place, with impressive works in stone, been the heaviest 120 tons, carried by workers from remote Inca quarries, a place where the famous Inti Raymi or Festival of the Sun is celebrated every year, Qenqo (laberinth), and finally Pucapucara Tambomachay, place dedicated to the water. End of the tour and return to the hotel. 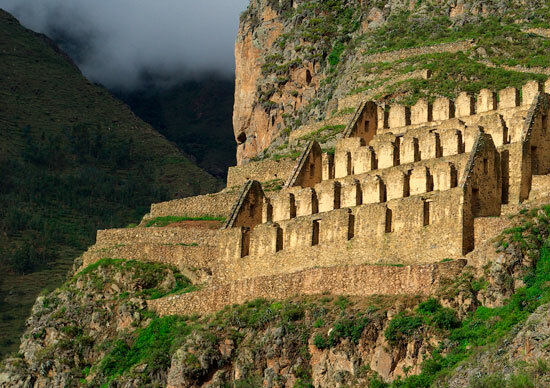 After finishing our visit in Ollantaytambo We will go to board the train from Ollantaytambo to Aguas Calientes (small city near Machupicchu), our staff will be waiting for you at the train station to take you to your hotel. After breakfast at your hotel you will take 20-minutes by bus ride to the hidden temple of the Incas to enjoy a guided tour of the site. 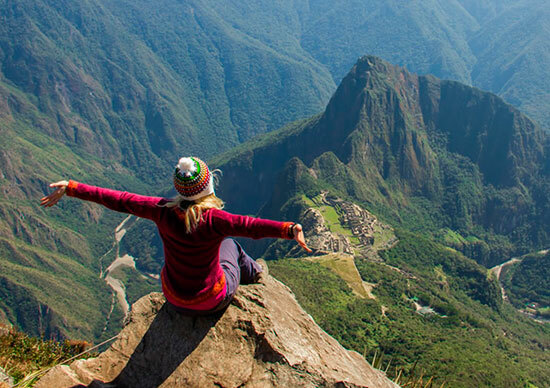 Your expert guide will tell you all about Machu Picchu’s fascinating history and legends… The famous lost city of the Incas is one of the most magical and mysterious places on Earth. Situated on the spine of a jungle-cloaked granite peak towering some 600 metres above an entrenched meandering of the roaring river below, the site is frequently shrouded in misty clouds pierced by the powerful equatorial sun. Constructed from precisely sculptured granite blocks carefully joined with the projecting exposed stone of the surrounding mountain, the site may well be the finest architectural achievement of the new world. Tour around the archeological site, its craft industry, agriculture, housing, prisons, royal tomb, the temple of the sun, Inti Huatana, sacred place, the fourth of the three windows, the sundial, the gazebo, etc.. In the Afternoon Get the train back to Ollantaytambo or Poroy station then We wil take a car from Ollantaytambo to Cusco. After an early breakfast at the hotel you will be transferred at the airport for your journey home or on to your next destination.